Let your customers enjoy the fitness benefits of custom fitness first pedometer. This has a large display screen. 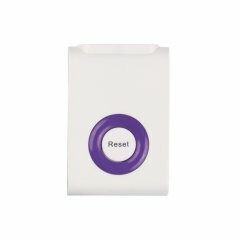 The customers can use it whenever they need as it is provided with a secure oversized belt clip. The energy saving auto shut off and idle mode function makes this step counter an attractive one. The personalized fitness first pedometer can tracks up to 99,999. 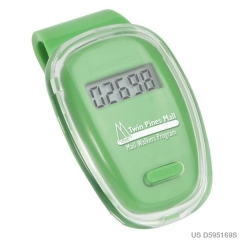 The fit clip pedometer measures 1-1/2” x 2-1/2” x 1-1/8” and provides sufficient space for brand imprint. 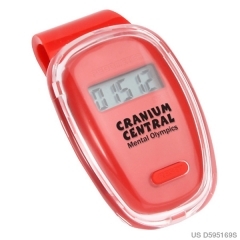 This brand imprinted promotional gift can motivate your customers to walk more for a healthy body. Your business brand name and logo imprint definitely catches the attention of others in your customer’s circle. 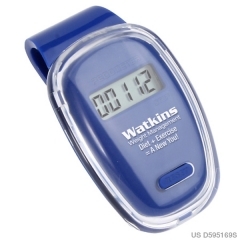 A promotional fitness first pedometer gives wide exposure for your products and services. Imprint Area : Front (below screen) 1" x 0.5" , Front - ALTERN. (above screen) 0.75" x 0.375"
Product Size : 1-1/2" x 2-1/2" x 1-1/8"